Mmmmm I don’t know about you but anything chocolate is my weakness. 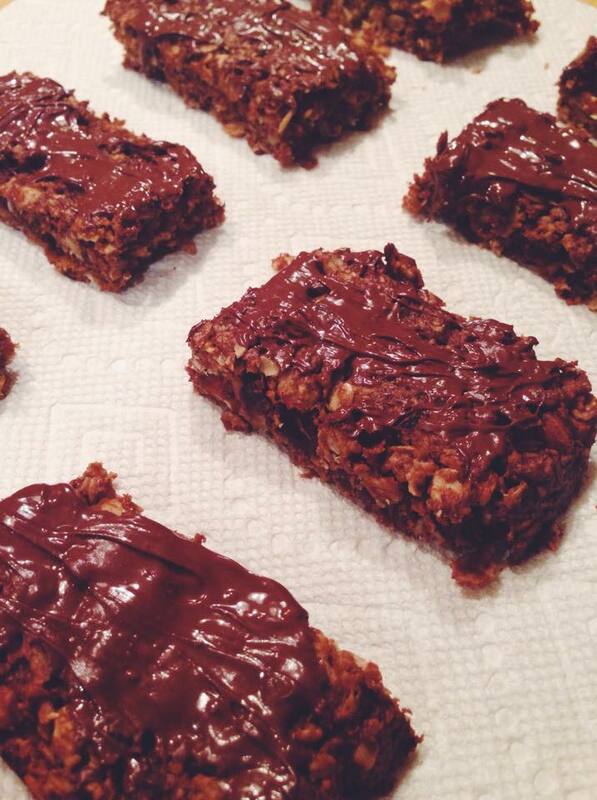 These brownie-inspired granola bars definitely hit the spot when I have chocolate cravings. 1/2 cup of mashed dates (Microwave with ~2 tbsp of water for 40 seconds to soften for easier mashing). Bake at 370F for ~23 minutes!